I'm talking about showing you what I bought during the TpT Sale. I thought you might like to see all the FAB-U-LOUS things that are out there. By the way, sidetrack for a second, does anyone else notice that sometimes it is a teensy-weensy bit hard to find what you are looking for on TpT? Well, Jen over at Simply Kinder wrote a great post about some things you can do to sort through the thousands of amazing ideas to find exactly what you are looking for. Check it out by clicking HERE. 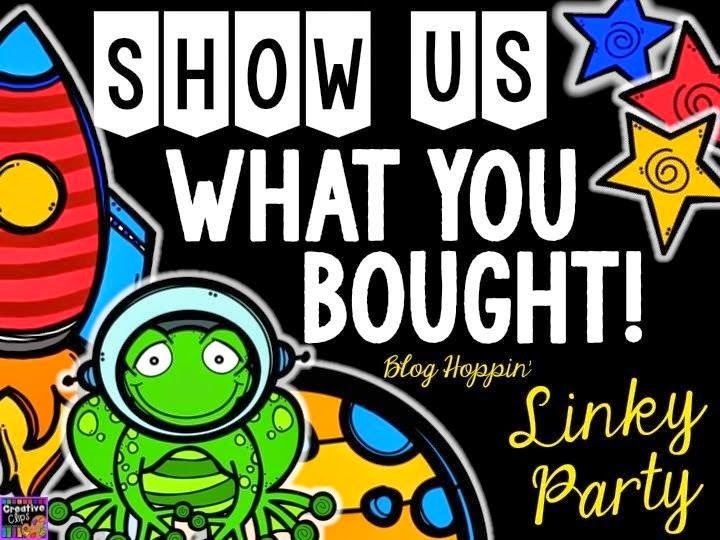 So, I am linking up with Blog Hoppin' and their Show Us What You Bought Linky. I love seeing what everyone else out there finds useful in their classrooms because I get some great new ideas. So hopefully you will see some things that you like too. First up, I needed some items to start off my year. If you are a 1st grade teacher you know you need to ease these kiddos back into school. Even though they have had at least a year under their belt, they have also had a nice long summer to relax and are not used to what it feels like to get back in the swing of things. Therefore, I like to start out slow and build their confidence early. These were some things I picked up to help me do just that. 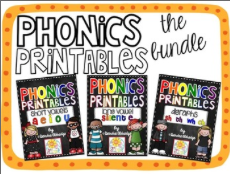 These items are perfect for beginning of 1st or for Kindergarten. 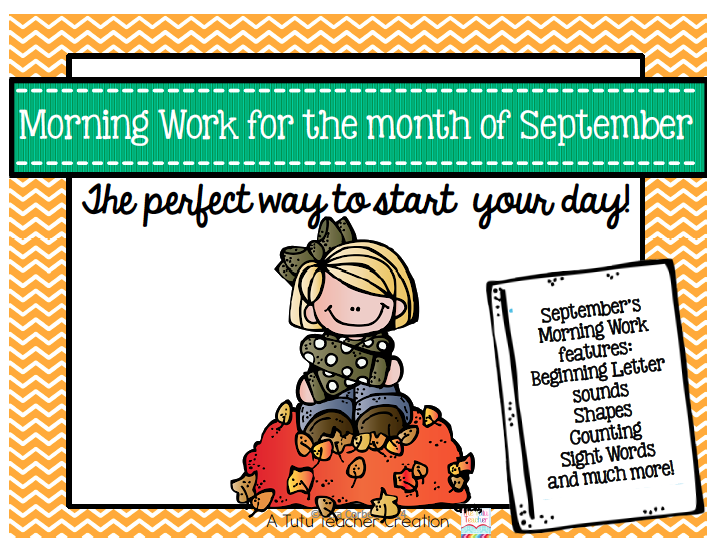 First up is some morning work for September from The Tutu Teacher. This is perfect because it is easy enough for me to put out in those first weeks of school, but will also help me identify the struggling students right away. I also love the layout of the pages. 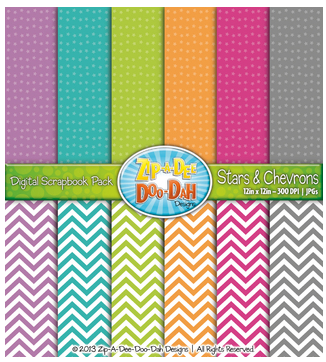 The next thing I got was this All About Colors pack from Crayons and Whimsy. 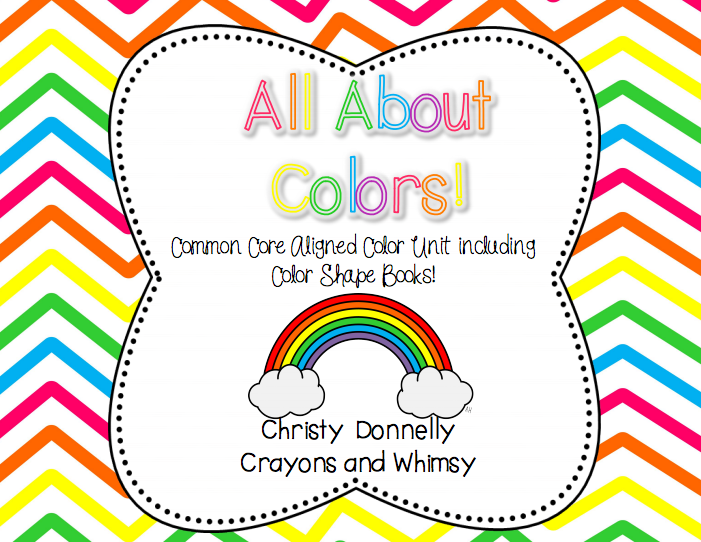 I love starting the year with a quick little unit on colors. I use Brown Bear, Brown Bear, What do you see? by Eric Carle and we do some fun little activities. This unit has SO many amazing ideas that I can't wait to use. 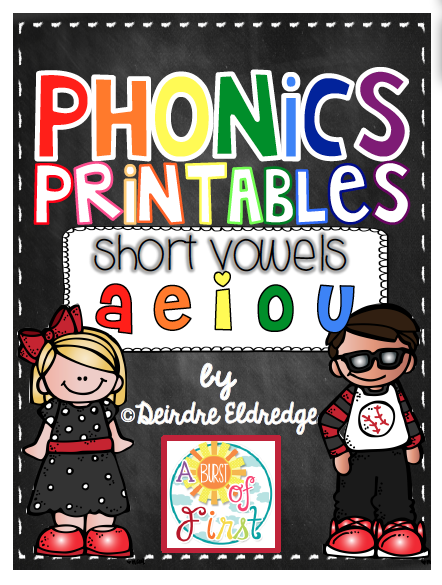 I know my firsties will love it too! 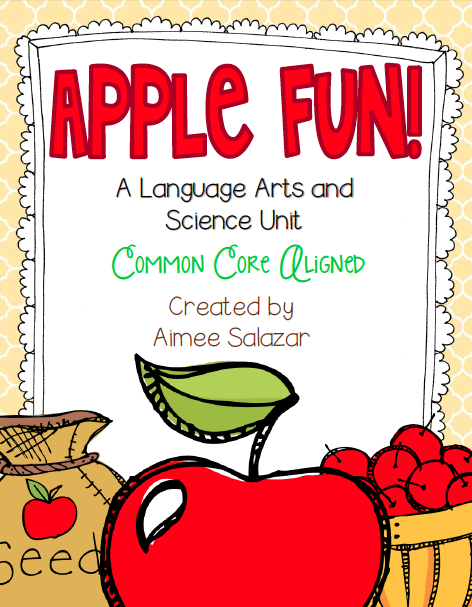 The next thing I wanted to get my hands on was this Apple Fun unit from Aimee Salazar of Primarily Speaking. She has some really fun activities in this pack for both ELA and Science. This was the perfect pack to add to what I already have. I have my Johnny Appleseed Guided Reading pack and a fun math pack called Ten Apples, but I needed to add some science and writing to the mix. Problem solved! 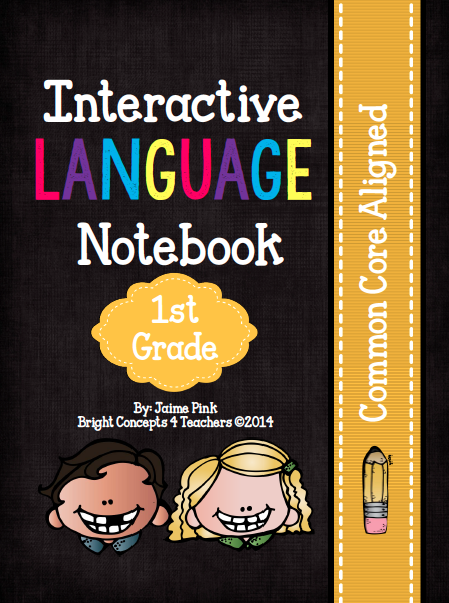 My next purchase was this Ah-mazing Interactive Notebook from Bright Concepts 4 Teachers. So here's the honest to goodness truth. I have been working on a Grammar INB (Interactive Notebook) since January and I'm STILL working on it. I really wanted to incorporate this into my classroom this year because I needed something to spice up my grammar instruction. Luckily Jaime came to my rescue! This is just perfect!!! I may or may not continue working on mine, but with hers - I probably won't need to. 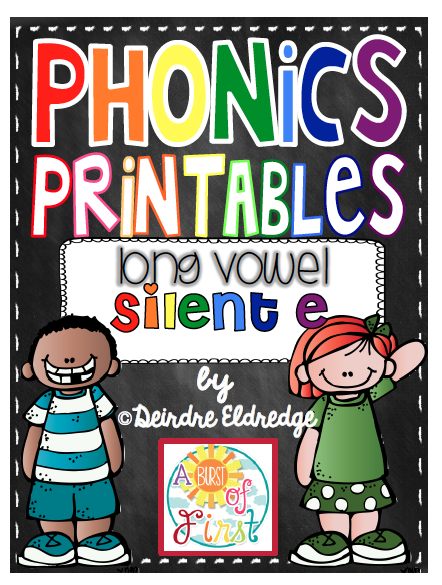 My last purchase (for my classroom) was this bundle of Phonics Printables by Deirdre from A Burst of First. 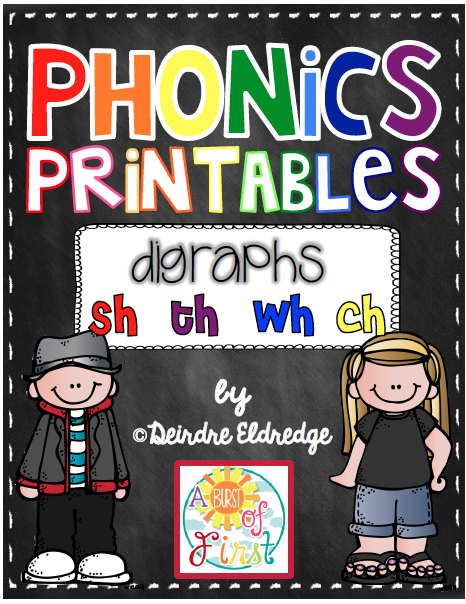 This bundle was exactly what I needed to add to my classroom and Deirdre nailed it with fun and interactive printables. I won't feel bad giving my kids some much needed practice and review time because they will be having fun while they learn. Which I LOVE!!! You can buy these separate or in the bundle. Which, why would I spend more money when I can save money by buying the bundle. No brainer!!! And last but not least I had to feed my clip art addiction. These are just a few of the adorable things I picked up. Let's just say I went back to shop 3 separate times!!! Yowza!!! Shhh! Don't tell the husband. Such great stuff!! Thanks for loving my stuff! You rock!! 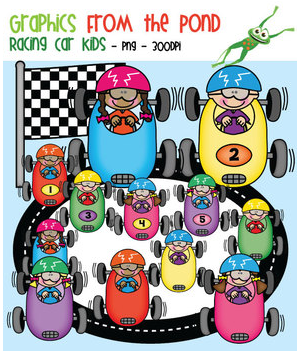 I love your clip art finds! You picked up some great items! Thank you so much for the sweet shout out about my interactive notebook. I hope you love using it and it saves you tons of time! 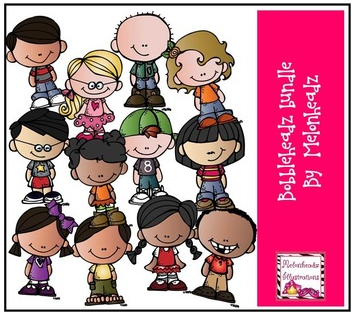 I am slightly addicted to Melonheadz clip art too. Picked up a few bundles myself. Enjoy all your new finds! OH NO! You are making me want to go back and shop! Everything looks so wonderful here!